Free food! 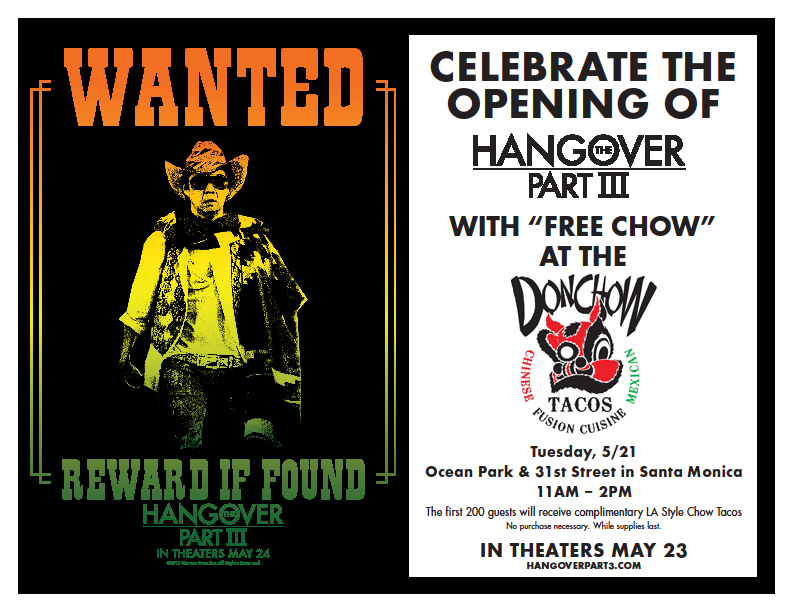 We are partnering with The Hangover part III on Tuesday 5/21 from 11am-2pm in Santa Monica to give out some FREE chow! 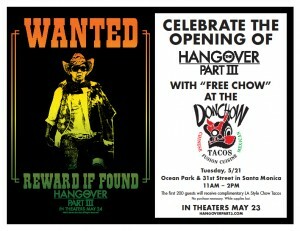 The first 200 guests in line will get Ultimate LA Style carne asada tacos. See the flyer below for all the details. See you there!